Many years ago, the city of Mistas was the crown gem of Ilshenar, booming with commerce and travelers from countless other facets. All were welcomed within the walls of Mistas and the diverse cultures were able to respect one another by acknowledging their lore and customs which in turn provided them profits unheard of. Unfortunately, conflict came, as it always does. This time in the form of the ageless conflict between the Juka and Meer. As Exodus bore down upon Ilshenar, he commanded his Juka, Savage and machine armies to seize control of Mistas. Even with its legendary walls, the great city of Mistas fell and was completely plundered… except for the Inn outside the city limits. There are several stories as to why the Inn was not targeted, and this is where the Legends of the Homebrew Festival begin. The first story tells of how the Golems and other machines of Exodus were sabotaged during the siege. Having been a focal point of commerce in Ilshenar, Mistas attracted many specialized folks, including some tinkers that dabbled in the art of moonshining. When the machine armies were undergoing routine maintenance, these tinkers were able to switch the fuel supplies of the machines with their own brews, making them operate, but eventually break down and explode, causing a chain reaction that obliterated their ranks. The second story says that the Savage army, having been treated poorly by the apathetic Blackthorn, grew tiresome and hungry from long days of marching and fighting. They longed to return home to their huts and the simple way of life. As these dejected and nearly starved Savages approached the Inn, the chef, known for his delicious pale pork and veal sausages, hurled crate loads at them. Unable to help themselves and in a sign of truce, the Savages gathered the food and retreated, leaving the Inn and survivors to eventually reclaim Mistas. The third and final tale is probably the least likely to have happened, but it has gained in recent popularity because of the latest woodworking fad going around… thrones. It is believed that Blackthorn contracted a local Mistas carpenter to craft a throne worthy of his stature and reputation. This carpenter worked tirelessly on the throne, adorning it with details no other person was capable of creating. As Blackthorn admired the creation, in awe of its craftsmanship, he failed to notice a tiny mechanism that triggered when he sat upon it. Blackthorn was reset, in a sense, and all communications between him and his armies disappeared and rendered them vulnerable. This allowed the survivors to retake the city. Although the city is still in the process of being rebuilt, these stories are celebrated during the Mistas Homebrew Festival as an honored tradition. 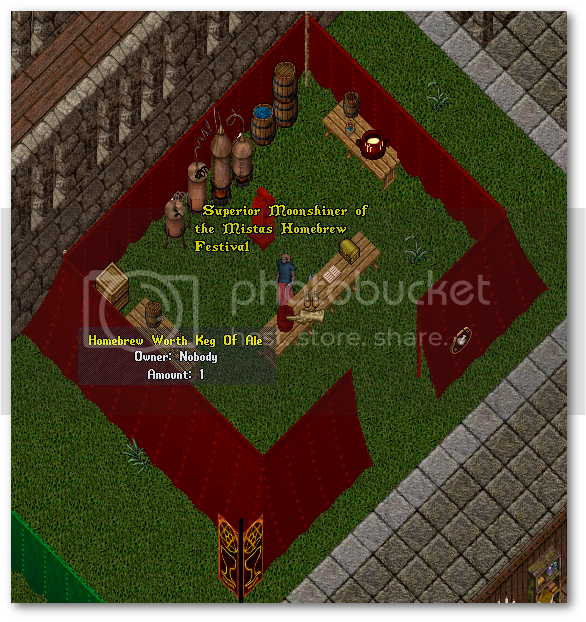 You will find a quest giver in each tent who will let you know how you can participate in the festivities. 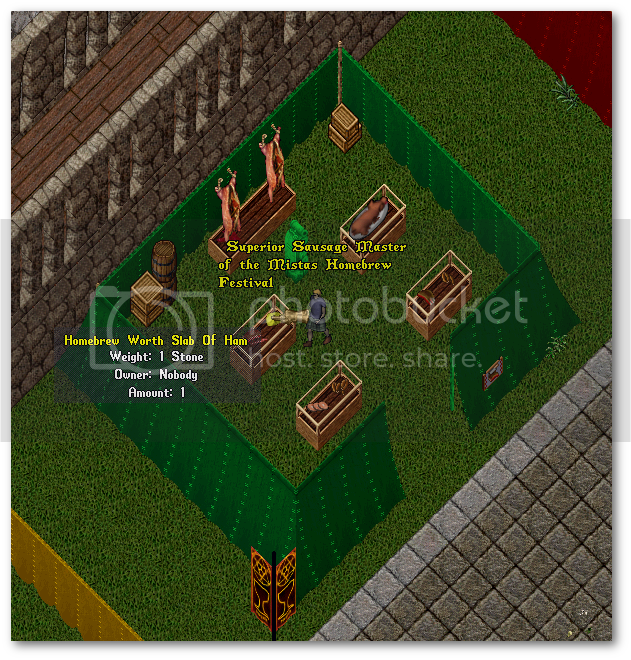 It will run from September 20th to October 6th with a variety of events including Pub Crawls, Horse Races, Naked Brawls and more! There have been several updates to the Mistas Homebrew Festival, which I will add to this lore post. I'll also add some other hints that you won't find in the "main post". So... ONWARD! 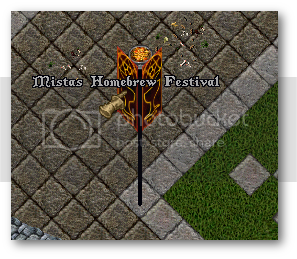 The winner of each special event receives the full Mistas Homebrew Festival Banner to be displayed proudly at their home! All special event participants receive an item related to that event, a hefty gold check, and a grand ol' time! 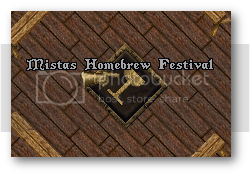 These event stealables ALL follow this format "Item Name - Homebrew Festival 2014"
How do to receive this item? Some folks already have the first NW piece. The next 3 pieces can be obtained in the upcoming special events. How? Ask Expo that night for "a Homebrew-ish task". Only one task per event per day though! There might be more information posted here with insider information so check back! Excellent! Now we know exactly what to look for in the stealables (one of my favorites) category! I really like the first story, of the resourceful Engineers who sabotaged the war machines with BOOZE! Bet those things ran REALLY well, on the high octane brew...for a while!